How do our customers get all of this product to events and where do they put it afterwards? 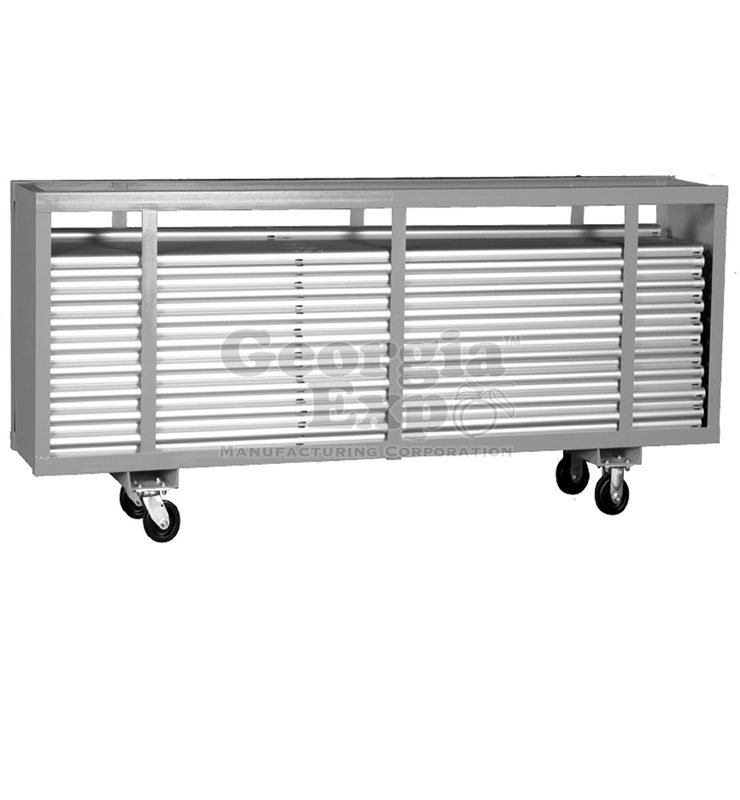 Over the years we have engineered the perfect solution to storage and handling concerns: the Georgia Expo line of storage carts. We offer storage carts for pipe and drape and the majority of products we sell and they come in one of two primary classifications: Combination Carts and Single Product Carts. The picture you see below on the right is of a pipe cart. It is built to hold uprights and drape supports. The picture below on the left is of a combination cart (specifically, the party cart). It is built to hold pipe, bases, drape supports, and drape that is pre-strung on drape supports. Choosing the right cart is a matter of determining how the customer uses their pipe and drape. Are using Slip Fit products. Need a small storage footprint. Want everything in one cart. Do not need more than 250 feet of backwall coverage or 25 In Line booths. These capabilities make them a favorite of rental companies and other customers who are putting out smaller quantities of product. Are using Screw In products. Slip Fit options also available. Are putting out a very large quantity of booths or backwall. Are more flexible with storage space. See our storage carts shop page for a full breakdown of storage cart options and available upgrades.